I’ve made many improvements to the Processing code for this “installation.” There are now controls that one can fiddle with to interact with the installation as it runs. 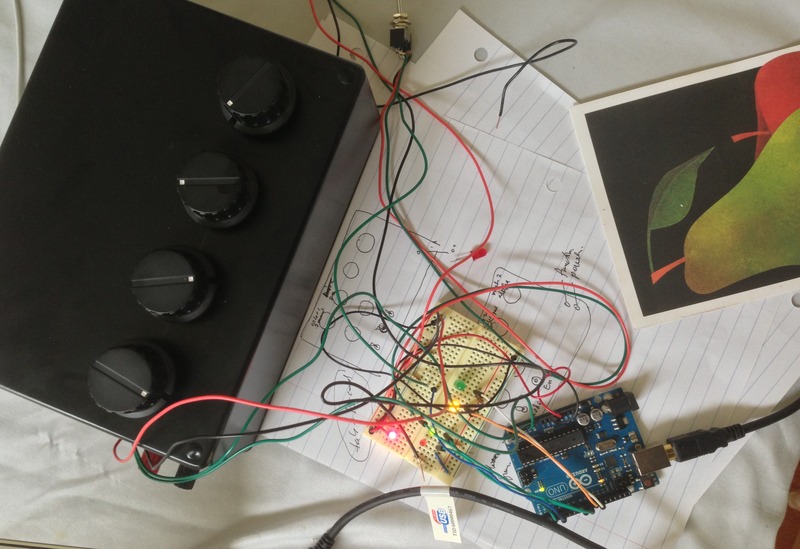 Next project: build a control box with dials and switches to operate the controls. See Seurat, Square for progress on the black box. 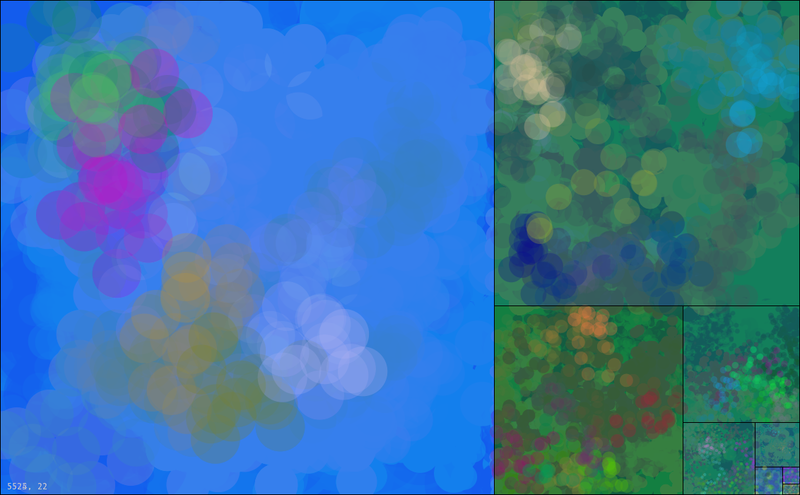 Code at gitHub in the seurat folder. Below are the title and abstract for my presentation at the STEAM Factory Saturday, April 27, in Columbus Ohio (400 Rich Street). Abstract: We present an interactive art installation and offer a description of how it is constructed. 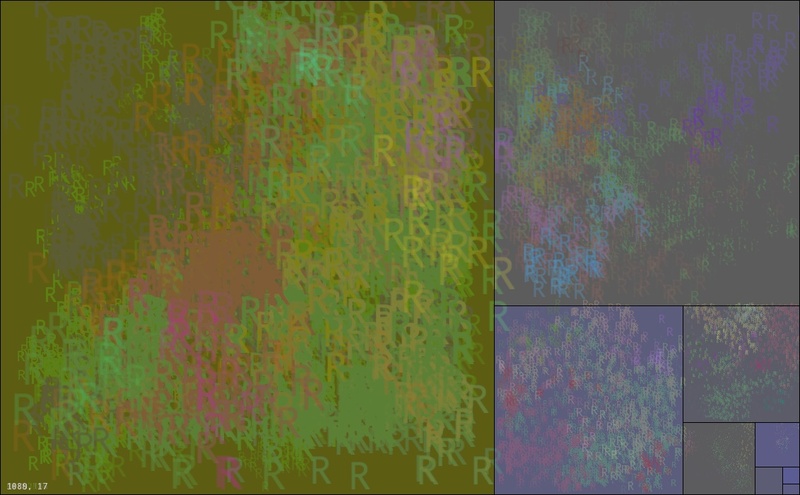 A rapidly changing sequence of images is generated by via a computer program using mathematical principles — scaling, randomness, superposition of periodic waves, dynamics on a torus. These buzzwords and principles aside, the spectator-participant can interact with the program by tuning the color scheme and changing the letters and shapes generated. (If you like an image, we can save it and email it to you.) Code at github. 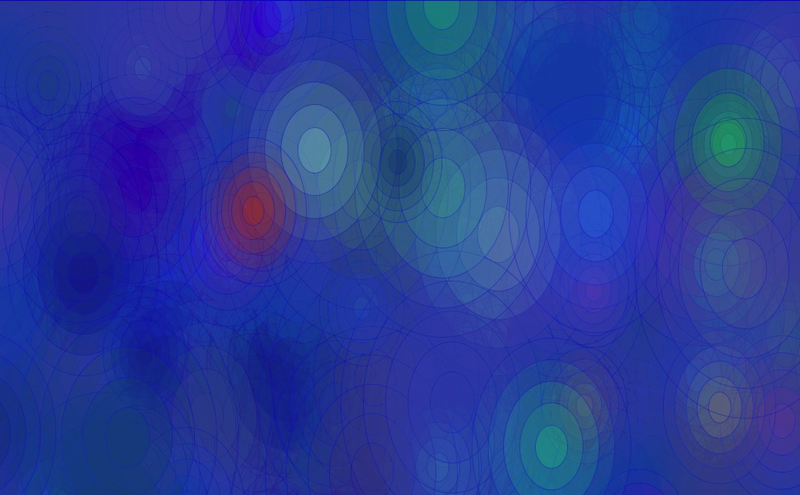 Frame 1089 of a Processing animation. Code at github. 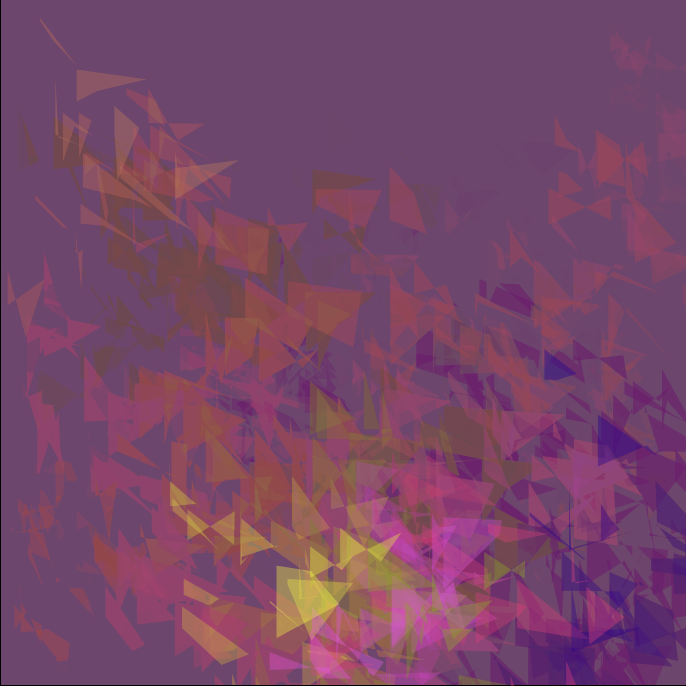 Each square contains a number of particles whose position and color undergo Brownian motion. The radius of the particles follows a periodic sawtooth function. 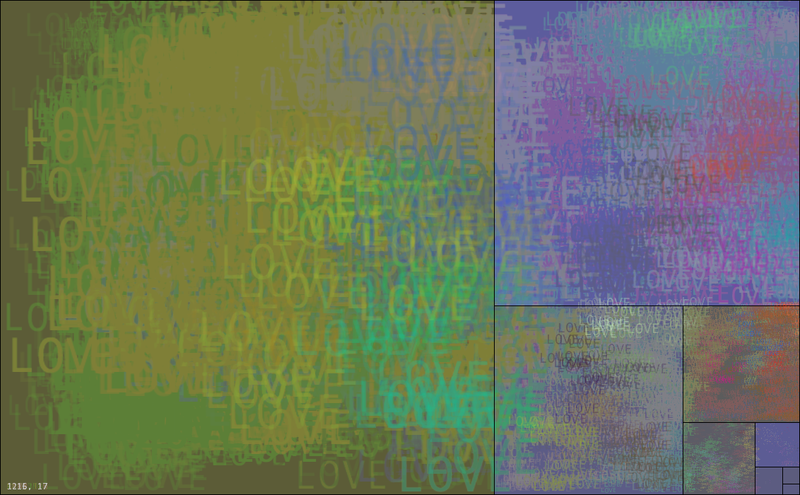 The overlay color of each square varies periodically and is determined by the position of an imaginary particle traversing a periodic path on a 2 or 3-dimentional torus in RGB space. 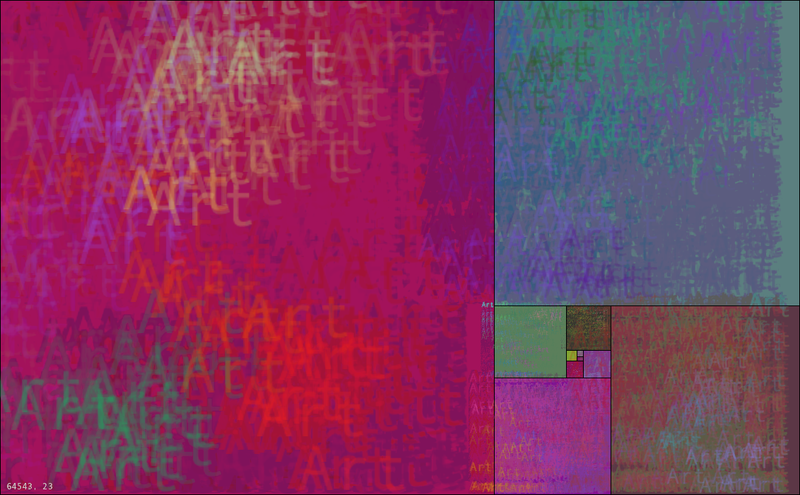 The tempo of the animation oscillates periodically with a long period on the order of tens of thousands of frames. This “work” will be shown at an installation at the STEAM Factory in Columbus, Ohio, on April 27. 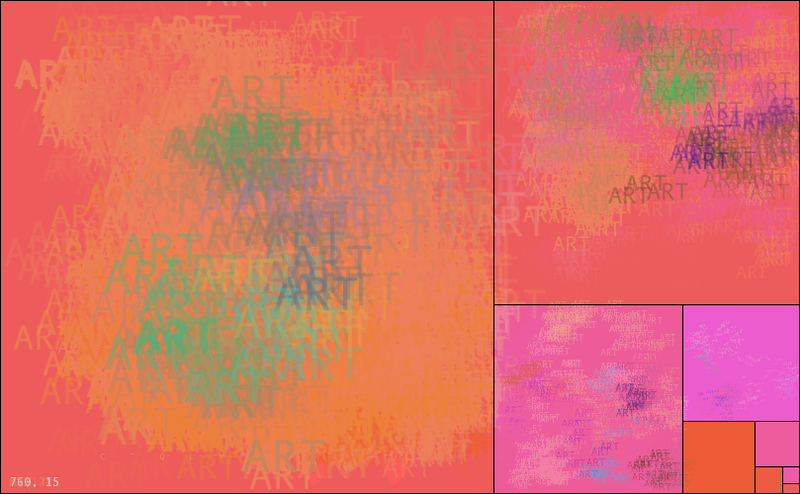 Procedural art based on one word.